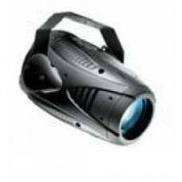 Find used scanners and used moving mirror lights from top brands as Martin Professional, Robe, and Clay Paky. 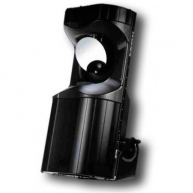 All scanners are warrantied and in most cases inspected by factory certified technicians. 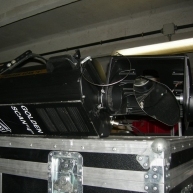 Solaris sells and buys secondhand and used automated lighting and used moving lights for concert performances, houses of worship, clubs, thaters and all other types of entertainment production. If you do not find what you are looking for give us a call and we will quickly find it for you. Golden Scan 4 in good condition. 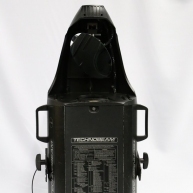 Corporate used Technobeam in good condition. RoboScan 518 in good condition, previously used in rentals. 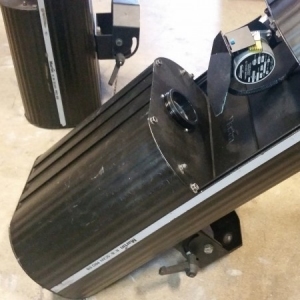 Roboscan 918 previously used on an installation with an individual flight case in great condition. Corporate use only from 2011. Units do no include mirrors. 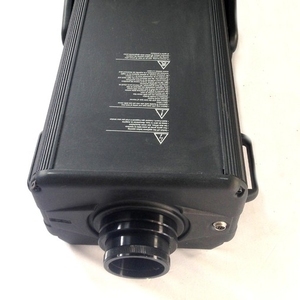 Brand New Idea Colour Changer 575.